Gold Charms. Silver Jewelry. Diamond quality. . White ones VS-G or better. Diamond weight. .87 carats. Our exceptional reputation matters most to both us and you …. New Princess Diamonds dangle earrings. 6 princess diamonds=.75ct. Diamond Information. Gram Weight. Total Ct weight. · Photos have been enlarged to show detail. Resizing and Fees. Pave Diamond Bangle. Polki Diamond Bangle. Diamond Wedding Bangle. Diamond Clasp and Lock. Rose Cut Diamond Bead. Pave Diamond Bead Ball. Wide Cuff Bangle. Pave Diamond Jewelry. Reference number: SE205. Tacori Drop Earrings Sterling Silver 0.80 ct. diamonds 18k yellow gold. 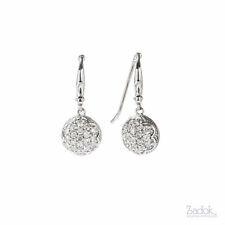 -- The diamonds are set in 925 sterling silver and there is a Tacori stamp on the back of each earrings in 18k yellow gold. Category Type:Diamond Huggie Earring. Diamond Clarity / Color. Diamond Carat Weight. Our huge collection of products includes rings, fashion and wedding bands, bridal jewelry, pendants, gems and much more! Diamond Pave 14k Yellow Gold Hook Earrings Designer 925 Sterling Silver Handmade Jewelry. Bracelet Earrings Pendant Necklace Bangles. 14k Yellow Gold Wt. 925 Sterling Silver Wt. Diamond Wt. our jewelry. Costozon Hoop Earrings 0.85 ct Round Brilliant Cut Natural Diamond studded in 4.429 Gms Solid 14kt Yellow Gold (58.3%) Wedding Anniversary Hoop Earrings IGL Certified & Gold Stamped. Diamond Carat: 0.50 CT.
Gold Purity: 14k. Total Diamond Weight is - 0.75 carat. TOTAL EARRINGS WEIGHT IS 7.4 gr. Color: G-H.
We can be very helpful in tailoring your every jewelry need. Material: 10k Yellow gold. Style: Hook Dangle. Color: Chocolate Brown/I-J. Gemstone: White Diamonds. Gemstone Shape: Brilliant Round. Clarity: I1-I2. We can be very helpful in tailoring your every jewelry need. Material: 10k White gold. Style: Hook Dangle. Color: Chocolate Brown/I-J. Gemstone: White Diamonds. Gemstone Shape: Round. Clarity: I1-I2. Color Stones Change (White Topaz, Blue Sapphire, Ruby etc). Diamond Type Real. Diamond Shape - Round Cut. Diamond Clarity - VS1. Diamond Cut - Excellent. Diamond Color - H-I. Costozon Hoop Earrings 0.85 ct Round Brilliant Cut Natural Diamond studded in 5.757 Gms Solid 14kt Yellow Gold (58.3%) Wedding Anniversary Hoop Earrings IGL Certified & Gold Stamped. Diamond Carat: 0.85 CT.
Category Type:Diamond Climber Earring. Diamond Clarity / Color. Diamond Carat Weight. Combined diamond weight of 1.00 carats total weight represents a range of 0.95 - 1.17 cts. 14kt White Gold. Gold Purity & Color. Earrings Size Approx: 12mm. Diamond Weight: 0.92 Cts. Gemstone: Diamond. Gold Weight: 0.85 Gram. Silver Weight: 1.67 Gram. Costozon Hoop Earrings H SI1 0.80 ct Round Brilliant Cut Natural Diamond studded in 4.544 Gms Solid 10kt Yellow Gold (43%) Wedding Anniversary Hoop Earrings IGL Certified & Gold Stamped. Diamond Clarity: SI1. Category Type:Diamond Climber Earring. Combined diamond weight of 3/4 carats total weight represents a range of 0.71 - 0.82 cts. Diamond Clarity / Color. Diamond Carat Weight. Our huge collection of products includes rings, fashion and wedding bands, bridal jewelry, pendants, gems and much more! Costozon Huggie Earrings 0.80 ct Round Brilliant Cut Natural Diamond studded in 4.216 Gms Solid 14kt Yellow Gold (58.3%) Wedding Anniversary Hoop Earrings IGL Certified & Gold Stamped. Diamond Carat: 0.80 CT.
David Yurman Infinity 18K Yellow Gold Diamond Earrings. Dangling with hook 37mm. Color stones are cheap in wholesale, and it is easy to reproduce. 18k yellow gold earrings weigh 9.8g. Earrings stamp "D.Y 750". Carat Total Weight (ctw): 0.96. Elegant quality at a modest price. Refined design. Total carat weight is 0.96. Carat Total Weight (ctw): 0.04. Stone Type: Diamond. Stone Shape: Round. STONE INFORMATION. Stone : Blue Sapphire(Lab Created). Total Diamond Shape : Round. Total Diamond Color : I/J. About Total Diamond. Total Diamond ctw : 0.90 ctw. Total Diamond Clarity : SI1. Gold Purity : 14k (58.5%) Pure Hallmarked Gold. (Hold 4x6mm Pear Shaped Stones. Style: Diamond Semi mount Earrings. Diamonds: Natural Diamonds. Cut: Round (Full Cut). Gold Weight (grams): 4.43g. 1) Ring Resizing. 2) Ring Redesign. 6) Custom make your own ring. Category Type:Diamond Climber Earring. Combined diamond weight of 1.00 carats total weight represents a range of 0.95 - 1.17 cts. Diamond Clarity / Color. Diamond Carat Weight. Our huge collection of products includes rings, fashion and wedding bands, bridal jewelry, pendants, gems and much more! Category Type:Diamond Dangle Earring. Our huge collection of products includes rings, fashion and wedding bands, bridal jewelry, pendants, gems and much more! Diamond Clarity / Color. Diamond Carat Weight. Setting: 18k White Gold. Diamond Earrings. Diamond Pendants. Diamond Rings. Diamond Bracelets. Loose Diamonds. Israel has always been one of the greatest diamond industries in the world. All our jewelry is made, crafted and being set in-house, serving double purpose: lowering production costs and supervision on the making of each piece of jewelry.